Location : The Royal Garden Plaza 2nd Floor., Pattaya Beach Rd. 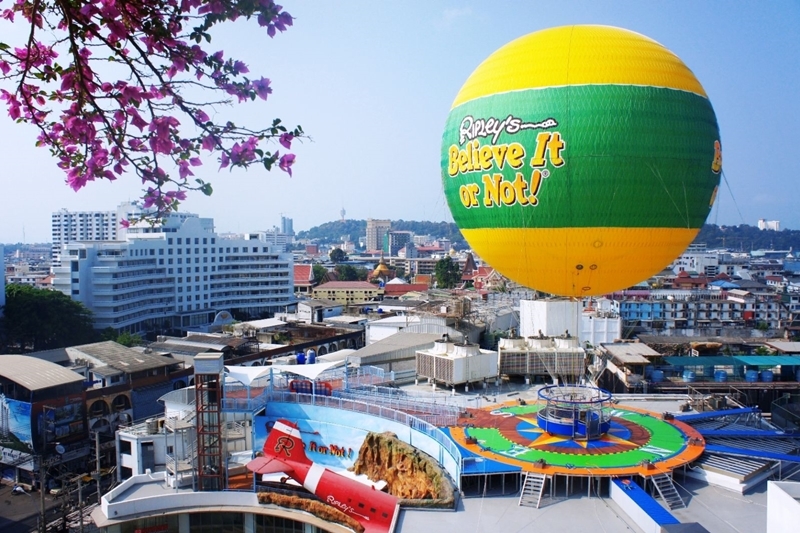 Ripley’s Sky RiderThailand’s first helium balloon imported from France. The balloon ride will take you soaring high into the sky to witness the most beautiful scenic view of the amazing Pattaya City. Come fly with us and the experience will last you a lifetime!